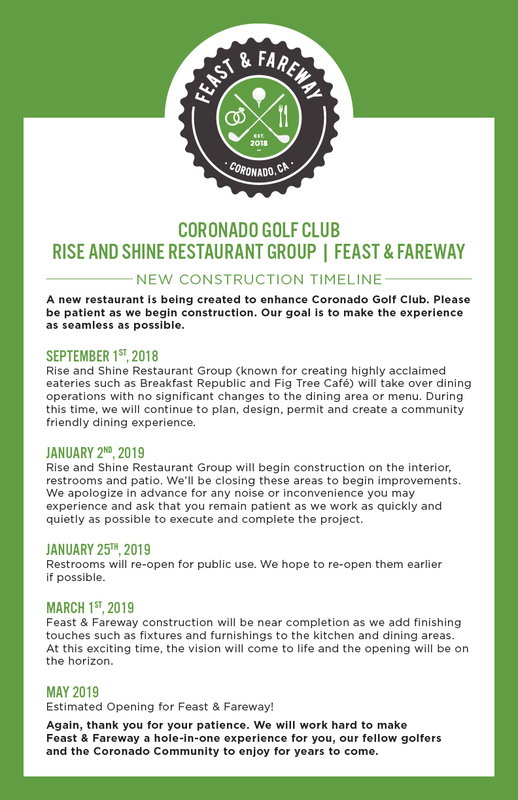 Please take note that the Restaurant at Coronado Golf Course will be closed for renovation between January 2, 2019 through May, 2019. The Pro Shop will remain open during this time. For your convenience, the Restaurant at Coronado Golf Course will provide an outdoor bar, snack bar and beverage cart while they are closed for renovation. We appreciate your patience while the new restaurant experience is being created to enhance Coronado Golf Course.